Standard in 10 inch height . Standard in Black or special order Brown, premium full-grain, oil-tanned, water resistant leather, choice of smooth or rough side out. 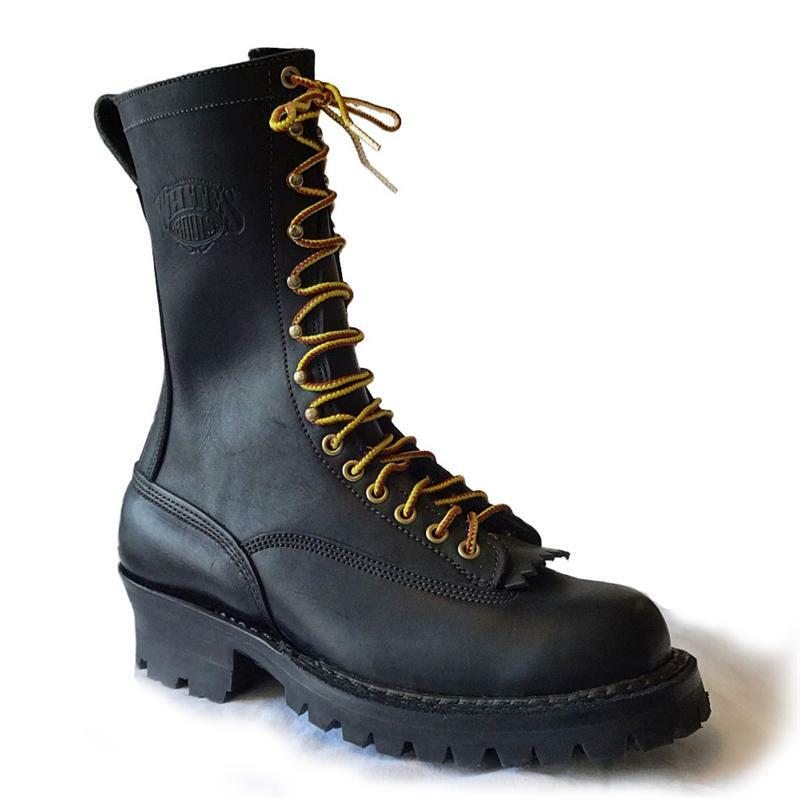 Optional ANSI approved steel toe. New lace-to-toe design for secure fit around the ankles. Three rows of lock stitching for rock-solid durability. Completely rebuildable for years of extended life and value. Lace-in tongue guard and laces included.